Super Nails: Who is the girl behind Super Nails polish? Read to find out! Who is the girl behind Super Nails polish? Read to find out! Hello to all my nail polish lovers! I began making and selling nail polish last Fall, on Etsy. As I think of the reasons why I started, I remember a lot of it had to do with being frustrated about glitter nail polish from other retailers and drugstores. There just wasn't the right amount of glitter coming out with every stroke of the brush onto my nail. 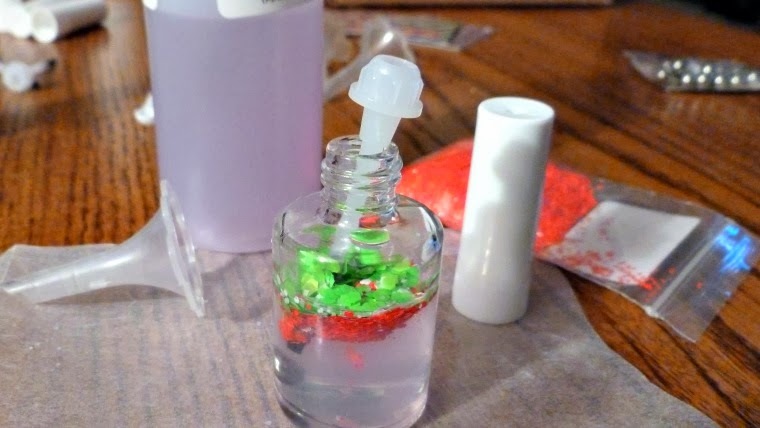 Instead of giving up on glitter nail polish toppers, I decided to join in on the fun and make glitter-packed polishes! Now, I decided that I can use comics and nerdy culture for inspiration, since both my boyfriend and I are into that kind of thing. In deciding what to name my nail polish line, I went with "Super Nails" because I really like superheroes, such as Batman, Superman, and Iron Man to name a few. I am also inspired by Holidays/Seasons, and Food! I love-love-love the idea of indie nail polish! Not only are you buying a safer product when you buy independent polishes, and the creation of an individual person, but you are also helping support them and their families. I have always been artistic, and had an eye for colors - even some wacky combinations - so I know how much work goes into the designing of handmade items sold on Etsy, such as jewelry, artwork, and even nail polish! I used to make jewelry and teach jewelry making classes for 7 years, while I held the position as manager of a bead shop, here in Northern Michigan. I was planning on taking over the business, until sadly, the recession caused the doors to close. My boyfriend and I. You might be able to tell our favorite superhero is Batman! 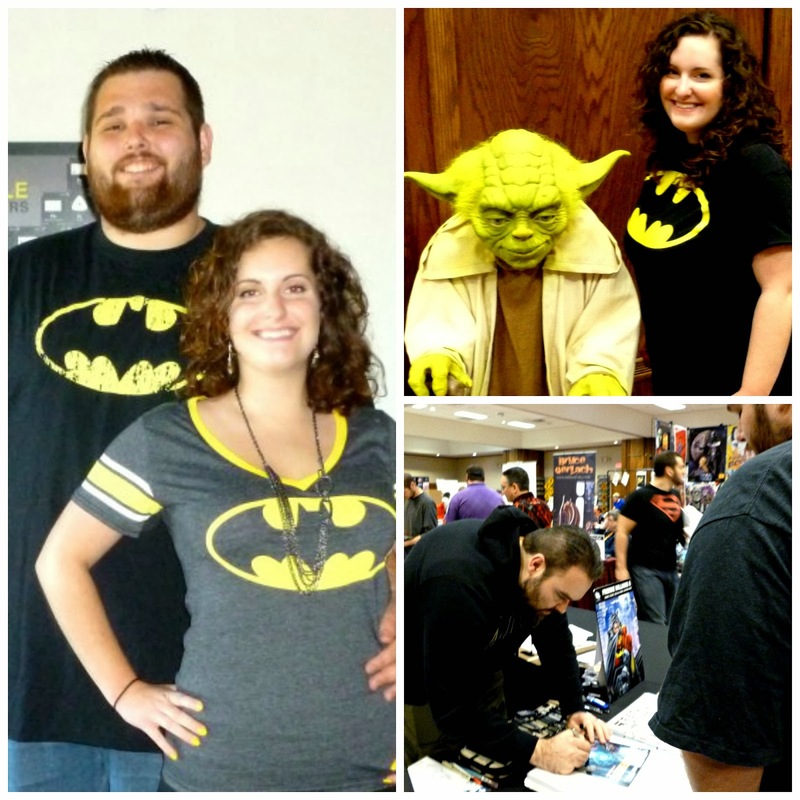 The two pics on the right are from our local Comic Con last year, Yoda and then getting some of our comics signed by artists and authors. This year I will have my own booth at Comic Con, selling my nerdy polishes! Hello! I am KC, owner and designer of Super Nails! I make 5-Free Indie Glitter Polish, inspired mostly by comics, holidays & food. Cruelty Free, Vegan, High Quality. Each bottle of polish is made to order, which means I hand blend each of the glitters after a customer orders. Adds that extra quality care and individuality to every bottle. I majored in Business and Entrepreneurship in college, and I have always envisioned being able to one day own my own business. Even though I am just starting out, I am making this my full time job, so I will be committed to provide you with the best customer service and creations. Super Nails Blog Launching Party Giveaway!